Have a Sound Sleep with Tenura Non Slip Fabric! Some mattresses seem to slide off bed bases, which can be a major inconvenience when getting in and out of bed, or changing the bed sheets, as this requires the mattress to be pushed or pulled back into place. Many mattresses are large and heavy, making them hard or impossible to manoeuvre. For this issue, we have the answer. Tenura non slip fabric can be placed underneath as a non slip mattress mat to help stop it sliding, by creating a non slip surface to prevent unwanted movement, helping enormously when trying to make the bed, as the mattress will stay still allowing you to work around it and without the hassle of it sliding from one side of the bed to the other. 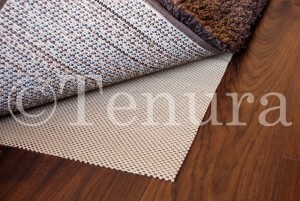 Tenura non slip fabric is a soft and comfortable material. Commonly used in draws, cupboards or even as carpet underlay, this material allows objects to sink in slightly, creating a strong non slip grip around the object, making it a perfect fit for underneath a mattress. This material will help to stop all unwanted movement, and leave you with a comfy mattress and no problems, day or night! 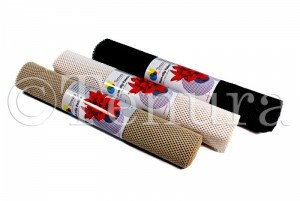 We have non slip fabric in 3 neutral colours, beige, black and white. This will help you get the material which best suits you and will not stand out from the colours of your mattress/bed base, making the non slip material unnoticeable, while providing you with peace of mind. We stock Tenura non slip fabric in pre-cut rolls of 50.8cm x 182cm, but larger sizes can be acquired. For more information or advice on non slip fabric rolls, or any other product, feel free to contact us by email, phone or the contact us button on this site! Posted in Assisted Living, Daily Living Aids, Independent Living, Non Slip Fabric, Tenura Updates and tagged tagged carpet underlay, non slip fabric rolls, non slip material, non slip mattress mat, stop mattress sliding, stop mattresses moving, Tenura non slip fabric on 17th March 2015 .